The man who rammed his car into a crowd at the Charlottesville rally in 2017 where one counter-protester was killed and others injured has been found guilty of first-degree murder. Add Charlottesville as an interest to stay up to date on the latest Charlottesville news, video, and analysis from ABC News. Suspect James Alex Fields was on trial for the death and injuries he is accused of causing when he drove his car into a crowd of counter-protesters, killing Heather Heyer. He was found guilty on all of the charges he was facing, ABC affiliate WSET reports, which included first-degree murder as well as eight other charges relating to injuries and one relating to fleeing the scene of an accident. Fields&apos; sentencing will come at a later date, and he faces life in prison. 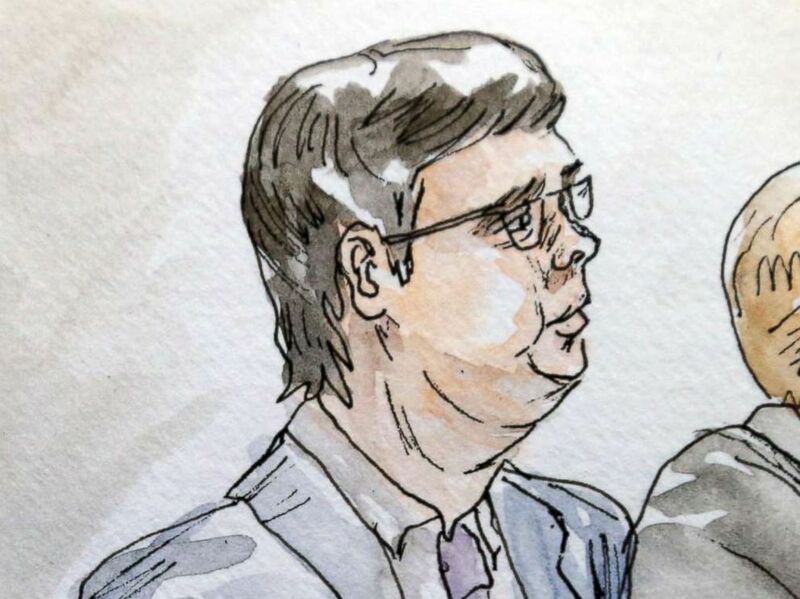 In this courtroom sketch James Alex Fields Jr., center, sits with his attorneys during the second day of jury selection in his trial in Charlottesville General District Court in Charlottesville, Va., Nov. 27, 2018. His lawyer said in court that Fields was "scared to death" after the Unite the Right rally turned violent and clashes had broken out between protesters and counter-protesters, and they built their case around the claim that he was acting in self defense. 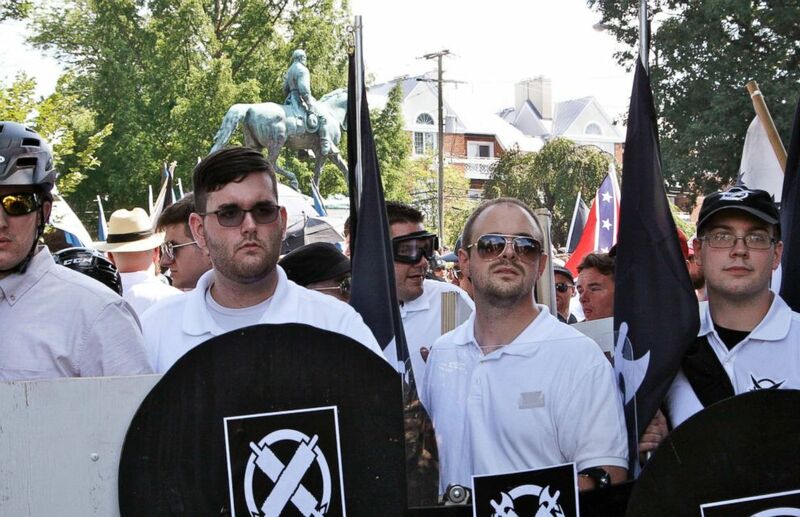 In this Aug. 12, 2017 photo, James Alex Fields Jr., second from left, holds a black shield in Charlottesville, Va., where a white supremacist rally took place. 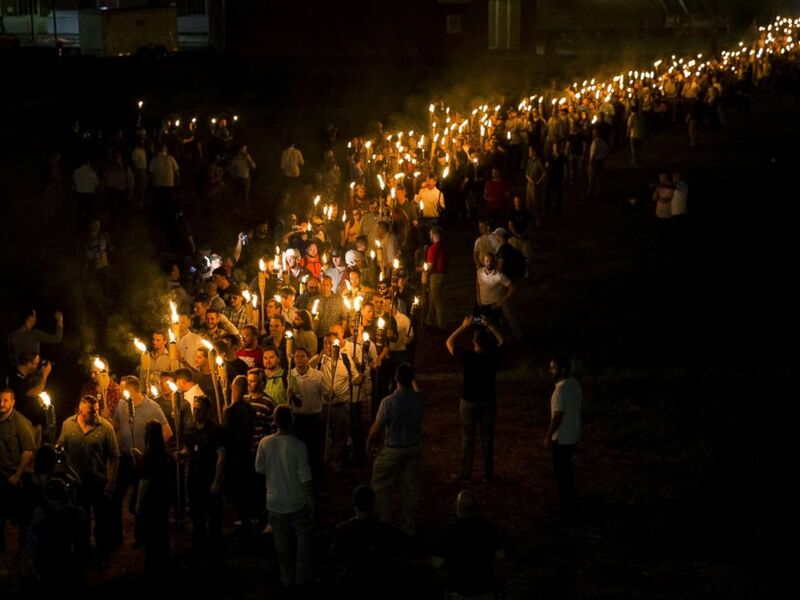 The 10 charges Fields, 21, faced in this trial in the Charlottesville City Circuit Court are separate from the 30 federal charges he faces that relate to hate crimes. One of those federal charges is eligible for the death penalty. He entered a not guilty plea in both the Circuit Court case and to the federal charges. The cases stem from Fields&apos; actions at the "Unite for the Right" rally in the Virginia town on Aug. 12, 2017. At the time, a group of white nationalists, which included neo-Nazis and Ku Klux Klan members, descended onto Charlottesville, spurred by the city&apos;s plans to remove a Confederate statue from a downtown park. Violence broke out as counter protesters clashed with white nationalists, prompting Virginia Gov. Terry McAuliffe to declare a state of emergency. Some of the most controversial evidence that was shared as part of the nine-day trial were recorded jailhouse conversations Fields had with his mother after his arrest. Fields referred to Heyer&apos;s mother in a recorded jailhouse phone call as a "communist" and "one of those anti-white supremacists." When Fields&apos; mother responded, she noted how Heyer&apos;s mother Susan Bro "lost her daughter." "It doesn&apos;t f------ matter," Fields said, according to ABC affiliate WVAW. 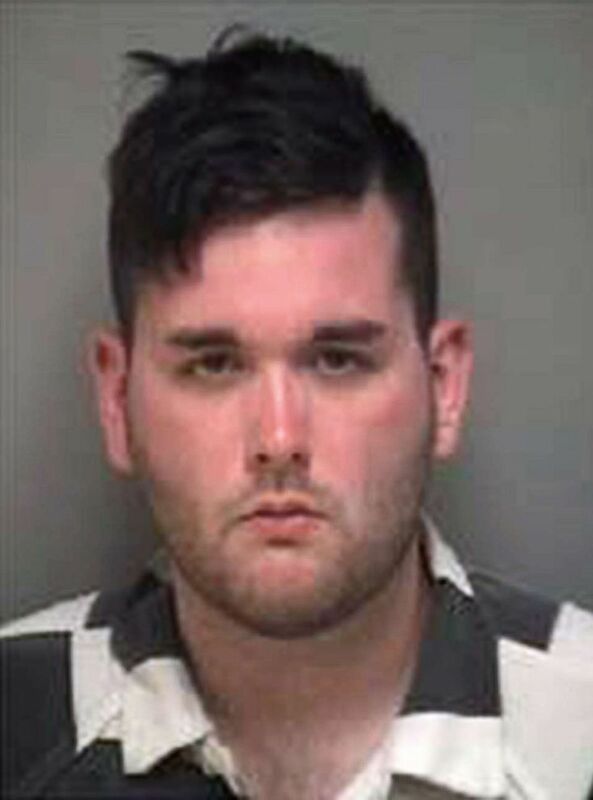 James Alex Fields Jr. is pictured in an undated photo released by the Albemarle-Charlottesville Regional Jail. The jury was also shown texts that Fields sent his mother up to and during the rally. On Aug. 11, 2017, the day before the rally, she told him to be careful and he responded "We&apos;re not the one [sic] who need to be careful," along with a picture of Adolf Hitler. The judge ruled that the text would be allowed to be entered as evidence, despite Fields&apos; lawyer&apos;s protests, saying that it shows intent or motive of malice, according to The Associated Press. In a statement released after the verdicts were announced, officials from the Anti-Defamation League said that "Fields traveled to Charlottesville to participate in an event celebrating racism and anti-Semitism, and his violent actions were a devastating reminder of the consequences of unchecked hate. This verdict sends a strong message to others that hate has no place in our society." Published on Fri, 07 Dec 2018 22:13:00 GMT, © All rights reserved by the publisher.